This article was printed in the Yorkshire Business Insider on 1 June 2017. 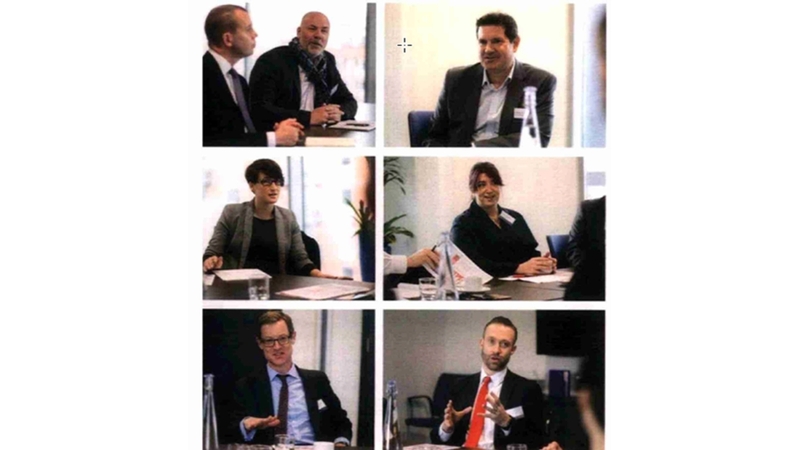 Along with a selection of other prestigious local businesses, our own Emma Dodsley contributes to this thought provoking round table discussion. Creating a productive and engaging environment is about much more than desks and chairs. Isn’t it? Most people in the region have an overwhelming sense of pride in their workplace and office occupiers are beginning to realise the importance of having pleasant workspaces to retain staff. Responders to Insider’s Workspace Survey, conducted in partnership with Dyson, said they had invested a great deal of effort, time and money in their work environments. However some still claimed their workplace was “scruffy” and “overcrowded” and “crying out for refurbishment”. Only a minority of respondents rating their workplace lighting, air quality and hygiene as excellent. To discuss the survey findings, Insider brought together leaders from a variety of sectors within the office market at the offices of Ward Hadaway in Leeds. Law firm Addleshaw Goddard has been involved in two office moves, in Leeds and Manchester. Bruce Lightbody, real estate partner said: “We looked at everything from location to fit-out, and while you can over-think it, a lot of science goes into it. There is a lot we don’t know so we have to rely on the professionals to tell us what has and hasn’t worked. From Victor Manufacturing, Finance Director Steve Gordon said: “We could have kept our old furniture but for a couple of hundred quid per person we have been able to make a real statement. You can go for “cheap” but it is worth spending a little more to make it a really nice environment rather than just OK. People really appreciate it. Neil Wells explained how IT@Spectrum’s new office has enabled the physical merging of two sister companies and helped the firm develop a “live” showroom. He said: “We were very cellular and each area of the business was segmented and we had a big showroom on the ground floor but our new office is a living showroom. Dodsley agreed: “An office refit, or refurb or new office is a great opportunity to bring about cultural changes. Even simple things – you can change the amount of storage space you have. But legislation and science and technology are driving other changes too, said Dodsley, who said there were several White Papers looking at disability and changing the way an office must function. Referring back to the survey, Nigel Sikora said the top two findings were the want for breakout rooms and quiet thinking space. “This suggests people are wanting to run from the open plan spaces”, he said. “We tore all the walls down 20 years ago and there are great benefits: collaborative working; knowledge transfer; but there is a major downside – distraction. “That reduces productivity considerably. You have the noise distraction and you have the visual distractions – people moving around in your peripheral vision.